Five Nights At Freddy's Bonnie. . HD Wallpaper and background images in the Sonic Fan Characters club tagged: photo. *Glomp* Alrighty. I just wanted to show you what was in my head so you can get a taste of what I imagine >X'D Not trying to steal your ideas. I just wanted to show you what I thought he looked like. 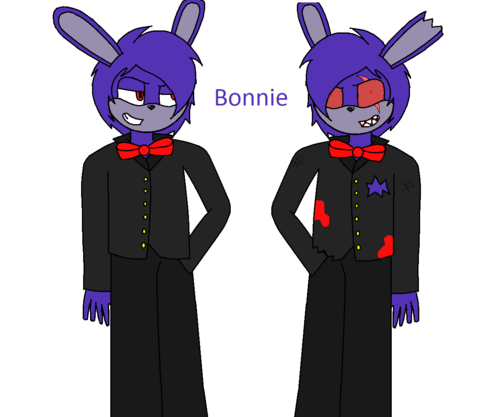 I HATE Bonnie, but cool pic.